October 2014 has seen a number of changes to Thai immigration and border crossings. As stated before that the new visa changes which came into effect in September has now been explained in more detail by immigration. This month also has seen an increase in border crossing fees on the Cambodia/Thai border. 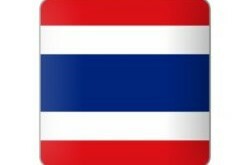 Do not overstay your visa in Thailand. 1. The visa extension of a visa on arrival can only be extended once. You cannot use this as a tourist visa where you can get an extension for each tourist visa you have. As an example you have a double entry tourist visa. This is normally for 60 days which then gets extended at Thai immigration for another 30 days. When you leave the country and return the next 60 days on the visa is activated with another 30 days extension before it expires. The visa waiver can only be extended ONCE and you cannot get such an extension again. 2. Big changes by those who have used Thai educational visas. Before the changes you could renew you ED visa every 90 days. With the new changes if the course does not exceed one year you have to leave the country and apply for a new ED visa at a Thai embassy. Most common Thai Embassies used are the Thai Embassy in Laos the Thai Embassy in Savannakhet and the Thai Embassy in Cambodia. 3. Those NGO workers who do not have a certification letter will only get extensions for a maximum of one year. 4. The new rule of Blacklisting over-stayers have not been fully clarified as yet. Thai immigration will issue these new rules and how the implementation will take place in due course which we will post here. These visa rule changes affects mainly those who do not have a proper visa. 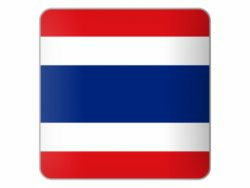 If you have a Thai wife then apply for a Thai marriage visa or if you are over 50 then apply for a Thai retirement visa. Working illegally in Thailand is clearly coming to a slow end for many.